Carrie Hunter has been involved in production in Chicago for a number of years. She began her career as a theatre and improvisation actress, and is a member of SAG-AFTRA. She worked at Cutter Studios for ten years, in a dual role as director of client services and intern manager. She recently became partner and director of client relations at Conspiracy, a production, editorial and design company. In anticipation of the WIFC Open House, Carrie Hunter talked with HollywoodChicago.com on a number of topics related to the organization, and the role of women in media production. HollywoodChicago.com: What was the path or contributions that led you to the title of President of the Woman in Film Chicago organization, and what do you see as your responsibility as that representative? Carrie Hunter: When I was working at Cutter Studio, they were a sponsor of Women in Film Chicago, and that’s how I first joined. Dictionary Films was affiliated with Cutter Studios, and their executive producer – Megan Maples – was president before me. When she stepped down, she recommended me to the board. I thought it would be a good challenge and opportunity for me, so I accepted. I want to be an advocate for providing women opportunity – and provide that networking stream that provides the opportunity. I’ve been talking to the membership and paying more attention to the issues for women in the industry, so I feel a responsibility to make a change and provide that voice for them. The most prominent issue of late is the topic of equal pay. The more I’ve read, and the more transparency I see in media production regarding that pay gap, the more it borders on offensive to me. HollywoodChicago.com: What excites you about the film industry in Chicago as it is developing, and how do you think your organization will be part of that development? Hunter: It’s exciting that within the last five years Chicago is exploding with TV, film and commercial production opportunities. It’s putting not only actors to work, but opening up many behind-the-scenes positions. We want Illinois to continue the tax incentives for these productions, and we as an organization will continue to highlight the job potential. HollywoodChicago.com: What do you think is the most important issue for women in the film industry in 2016? Hunter: Going back to what I said about opportunity, I think that is most important. For example, The Center for the Study of Women in Television and Film just released a report for the top 100 highest grossing films in 2014, and what they found was that in films where a woman was the director or writer, women were more involved in the overall story, up to 37% for speaking characters. That number goes down to 28% for male writers or directors. To get more of a voice, women need opportunities at the writer and director level. HollywoodChicago.com: Since your board membership also has shifted radically, what specific goals has Woman in Film Chicago made for 2016, and how do you think the organization is primed to meet those goals? Hunter: I think together we want to increase our participation, and continue to give value to our membership. In talking to both current and former members of the board, it is about finding that connection to our membership and the film community as a whole. For 2016, we want to expand our networking events beyond our fundraiser and Happy Hours – we’re looking also to feed our community professionally and artistically. Our new program director, Oriana Oppice, and I are working on creating more engaging programs for the WIFC. We’re planning to introduce ‘roundtables’ for different categories of production jobs – including screenwriters, directors, producers, talent, editors and documentarians, to help direct the conversation as to what the members want to explore and discover. We’re also planning on doing some events in the morning or midday, to accommodate the different shifts that industry people work in, and these ‘power lunches’ will feature guest speakers and different topics relevant to women in the business in 2016. HollywoodChicago.com: Will there be anything specific to exhibition of film, TV or media production works? Hunter: Yes, we are planning screenings of membership productions. We’re also planning a media job fair, and weekend seminars that will be an opportunity to present scripts to industry professionals and producers. We’re hoping to make these plans work, because I believe if we build it, they will come. HollywoodChicago.com: We come to another awards season without significant representation of women at the best director level. Given the parameters of show business, what is your opinion regarding the chances that women get at this level, and do you observe significant advances at other levels of jobs in the film industry for woman, that could eventually affect the director opportunities? Hunter: This is a problem, so much so that the U.S. government has actually created a committee to investigate hiring practices within the show industry, as to why women are not getting an opportunity to direct. The conversation is not done. We talk about change, but actually getting this change still goes very slowly. Right now, I see social media playing a vital role in pointing out inequality, and making the industry more transparent and accountable. HollywoodChicago.com: What is your favorite woman-centric film of all time, and how do you think that particular film advanced or evolved the nature and status of women in the industry? Hunter: Although not directed by a woman, my favorite female-oriented film is ‘Moulin Rouge.’ I felt that film so profoundly, and I felt that it was so original in content. As an actress, I really want to be part of something that special. HollywoodChicago.com: In moving forward in 2016 and beyond, what do you see as the challenges that women will continue to face in the industry? Hunter: What women need to be is cautious and diligent, as not to desensitize the plight and issues that we face, especially as these conversations become more mainstream. When these issues become desensitized, we risk not creating any change. That is a huge challenge for communities like ours. I will do my best to try and guide the organization to better provide opportunities for our members. 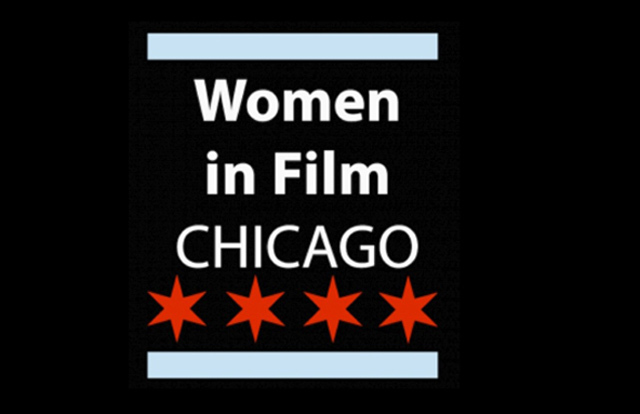 The first Women in Film Chicago open house will take place on Thursday, January 14th, 2016 at Conspiracy, 170 North Sangamon, Chicago. It is free and open to the public. For more information, click here.